Anyone who’s read more than 3 stories from this website are fully aware that I tour with the Lucas Oil Late Model Series. Due to funds, time and other factors, I’m forced to pick between the two. The fans are no different. Part of my choice is personal preference, I just flat prefer the way that series is run in addition the crop of drivers on the entry list. Another part of that decision is because it’s what the followers of this particular website demand and it’s part of my job to provide that for them. 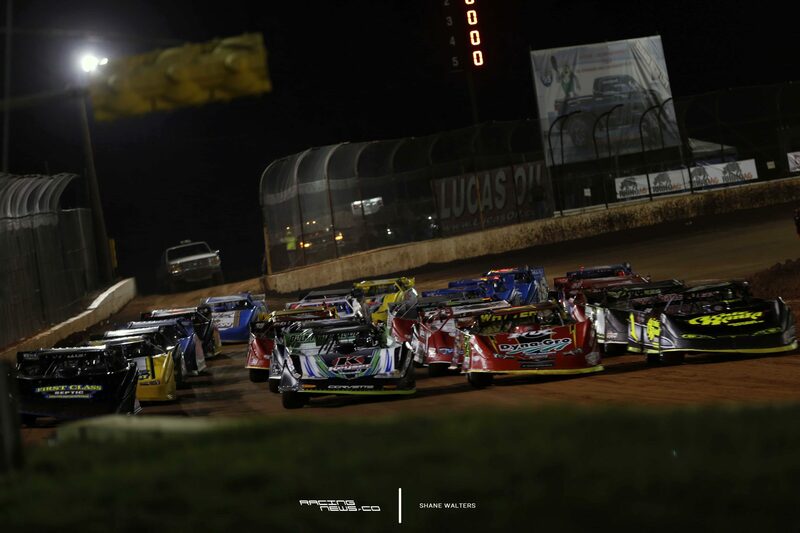 The Lucas Oil Late Model Dirt Series has been the clear number #1 of the two dirt late model series in recent years. The funds aren’t there for this website to tour with each side. If they were, I’d cover them both equally, which will happen down the road. In the meantime, just the same as you the fan, I’m forced to pick one or the other. I’ll always call a square a square and a circle a circle. With that said, right now, the World of Outlaws Late Model Series directors are positioning themselves to return to the #1 spot. One small adjustment in the payment structure and bam! The Outlaws are coming and this time there’s going to be a lot more of them. Chris Ferguson recently announced that we will tour with the WoOLMS in 2018. It will be the first time the North Carolina driver has ever toured with one of the two national series. That proof positive that something good is coming for the Outlaws. The World of Outlaws currently have at least 13 drivers confirmed to tour full-time with their series. I might have missed a couple. Yet, it’s still a month ahead of the season. More will just show up, without announcing their official plans. It’s very possible the Outlaws will have 20+ regulars coming out of Florida and heading into Tennessee come March. Matt Curl took over as series director just a few weeks ago. His first move, was a bold one. The WoOLMS will now pay every driver that runs with perfect attendance on the tour. If there’s 24 drivers that decide to run every race, they will all receive a boost in event payout, just for being a regular. The traditional Dirty Dozen is no more. Previously, touring teams had to be in the top 12 in points. If you weren’t in the top 12, you might as well drop off the tour. 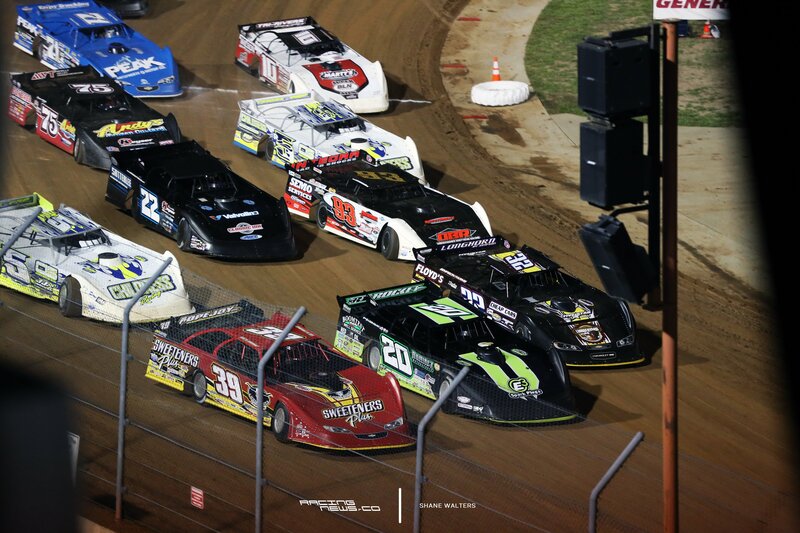 Well, that limits the number of national dirt late model drivers, across the board. Finally, It’s everything dirt late model racing has been missing. And it wasn’t missing much. NASCAR has 36 regular teams, via the charter system. The World of Outlaws will no longer be limited to just 12. With the new payment structure, there is no limit. We will now see more national drivers, as a whole. Each one of these drivers are a form of marketing for the series. They all put fans in the seats. You might not be a fan of Brandon Overton, Brandon Sheppard or Chris Madden. But, if the field is deep enough there’s going to be someone on the list that you want to go see. Growing your driver marketing by 25% or more, will bring in some new eyes. That’s what the Outlaws are doing. Deep into the season, there’s probably going to be 16 or more big names drivers coming to your local track in 2018 for an Outlaw show. That number only counts the regulars, 16+ big name regulars will pull in the gate. That’s going to boost the attendance. That boost in attendance is also going to boost the payouts, in the long term. As the Outlaws have 16+ national dirt late model drivers. Aside from a late announcement, the Lucas Oil Late Model Dirt Series will still be self limited to the traditional 12 drivers. The Outlaws are soon to become the new number #1 series. Now, there’s no reason the LOLMDS can’t adopt the same policy. Given it works for the Outlaws, which it will. But, I don’t see that change coming for 2018. If it happens, that would likely be in 2019. It’s a little late to make that call as a lot of drivers have already announced their plans to run WoO. The Outlaws are a step ahead on this one. For 2018, they’re going to be the preferred series by the fans, all due to the drivers list. You can still be a fan of both, I am. Either series will bring full blown late model excitement to tracks of any shape and size. But, in 2018, both parents work and most of the time they’re also divorced. Family time is limited and they aren’t going to the race track each week. 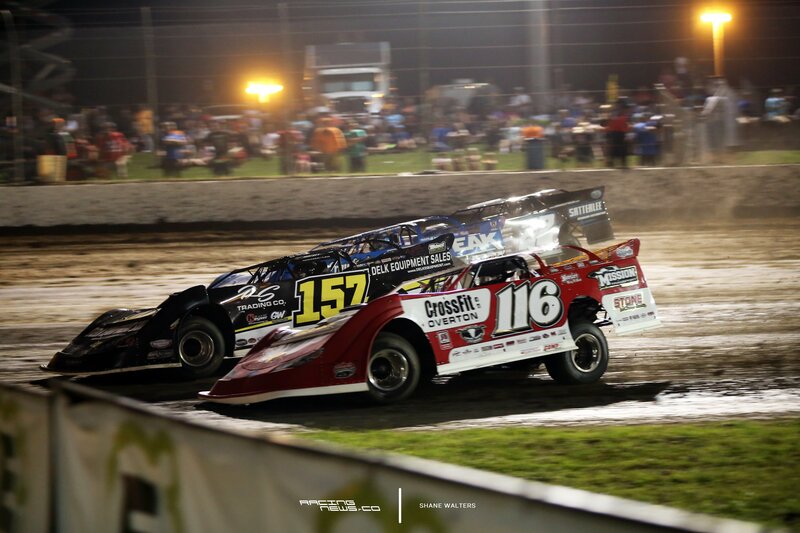 Having two national dirt tours, means fans will pick sides. It doesn’t have to be that way. But, it is and always will be. Still, they will both continue to thrive and be the recipients of the recent boost in the overall rise of the dirt racing fan base. 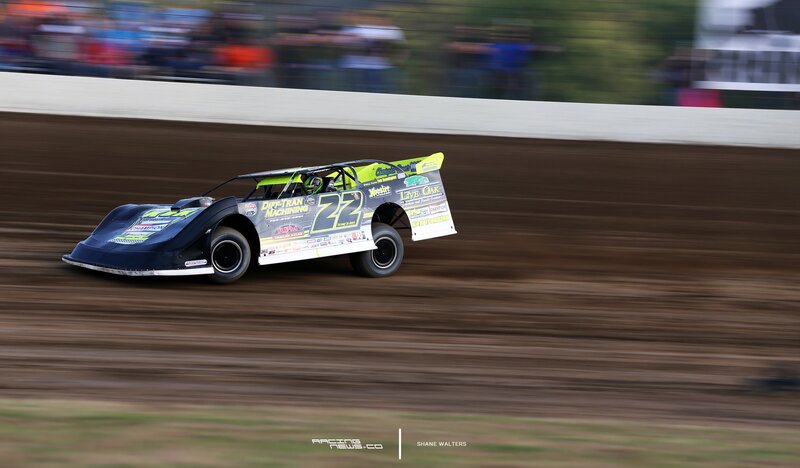 I’ve always thought that two dirt late model series was a great thing for the sport. A high tide in one creates a crest in the other. That’s just how I’ve always looked at it. Though, recently I’ve began to wonder if dividing the fans, dividing the drivers doesn’t hurt the sport as a whole. I still don’t know. Will the demand for the Lucas tour switch in 2018? I’m pretty sure it will. Will your favorite driver be running with the WoOLMS or the LOLMDS? With 12 drivers on one side and 16+ on the other, it’s 25% more likely your driver is on the WoOLMS tour in 2018. Though, I would also bet that’s only temporary.